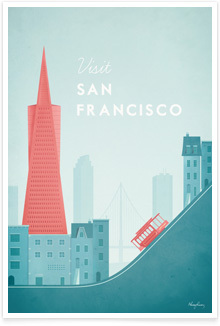 Los Angeles Vintage Travel Poster | TRAVEL POSTER Co. 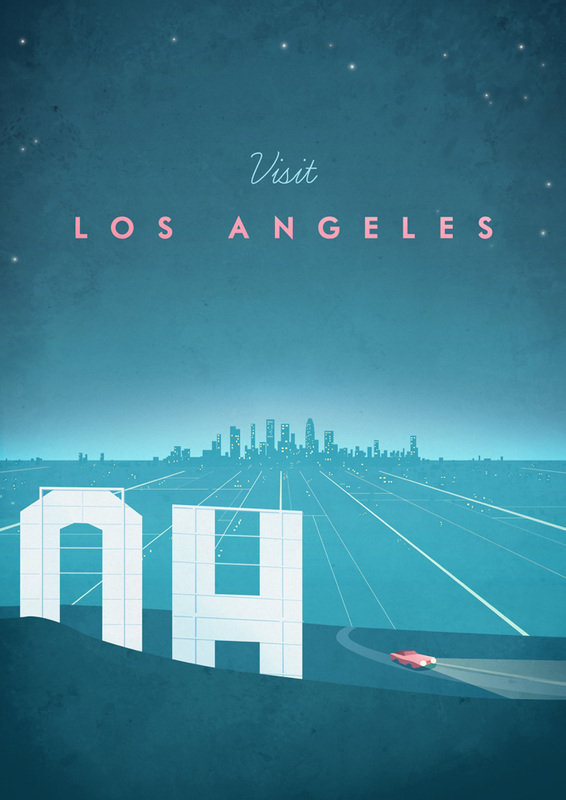 This vintage travel poster of Los Angeles, California depicts the Hollywood sign at night, with a retro-style car cruising up the hills. 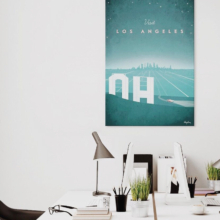 The city of Los Angeles sprawls across the background of the poster, with the towers of downtown punctuating the horizon. 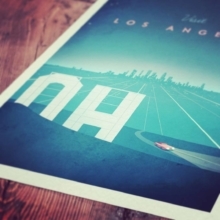 Located in Southern California, Los Angeles is the center of America’s film and television industry. 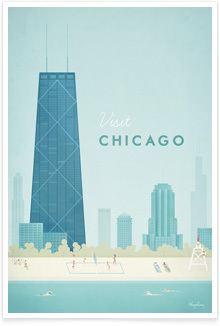 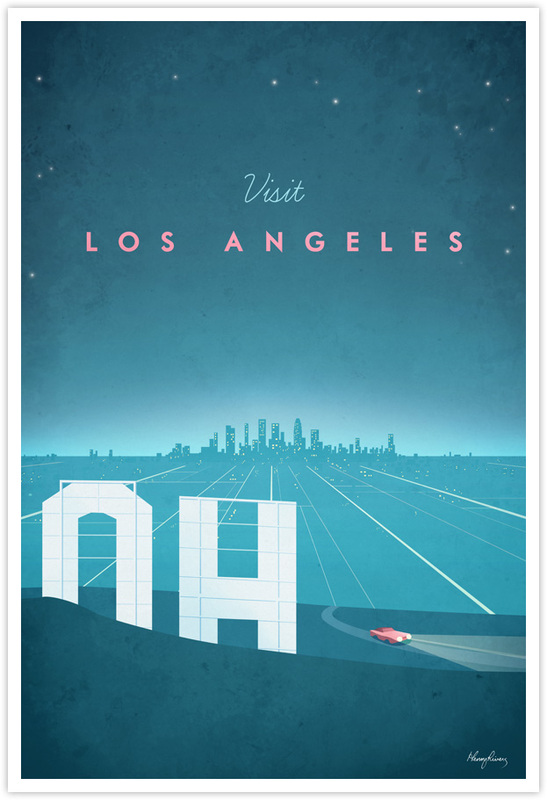 The poster is illustrated in rich blues and hot pink, with text reading Visit Los Angeles.